Carat is the measurement unit, equal to 0.2 grams, used to indicate a diamond’s weight. Historically, the word Carat derives from carob seeds which were used to weigh gemstones in the old world, thanks to the very slight variance in their weight. 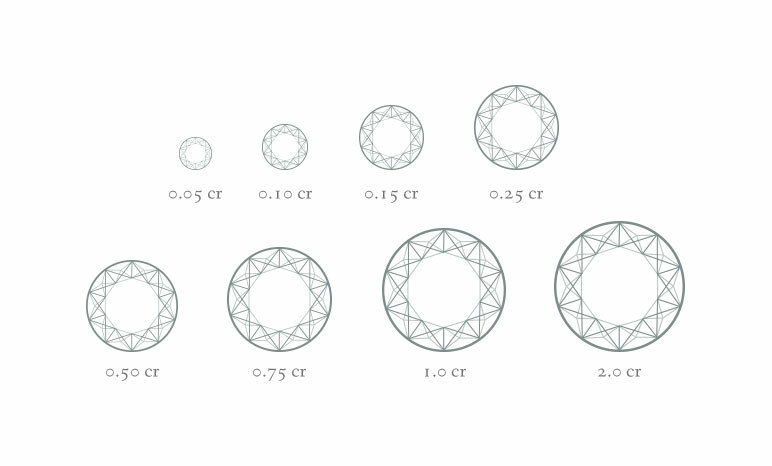 The Carat can also be divided into points, 1 Carat being equal to 100 Points. Diamonds are nature’s product, and as such, they bear their unique birthmark, shaped by internal air bubbles, cracks and mineral deposits caught inside the diamond during its formation. These naturally occurring marks are called inclusions. Inclusions disrupt the passage of light through a diamond, affecting the way light refracts inside the diamond and causing it to lose some of its reflections. 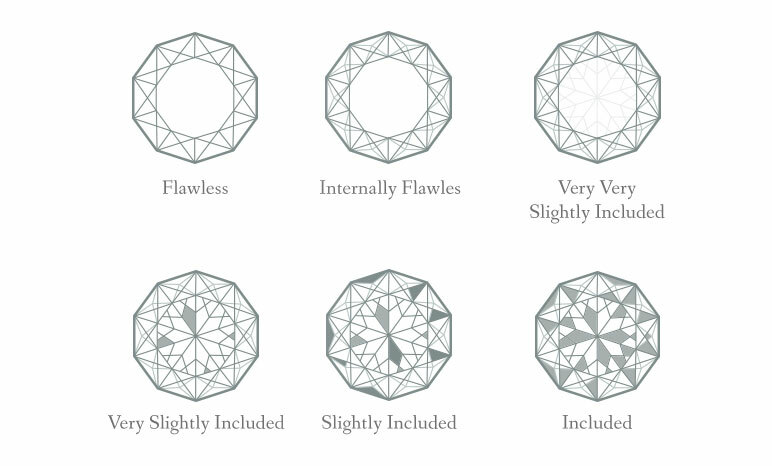 The degree of a diamond’s clarity is determined under 10X magnification, the main grades on the scale are: Flawless (FL, extremely rare), Internally Flawless (IF), Very, very slightly or Very slightly included (VVS and VS), Slightly Included (SI) and Included (I). We keep diamonds of various clarity grades, but most of our diamonds are classified between IF and SI2. Diamond color grading prevalently refers to the colorlessness of diamonds, namely the grade reflects the diamond’s lack of color. Colorlessness allows more light to pass through a diamond, creating a prism effect and giving the diamond its fire. 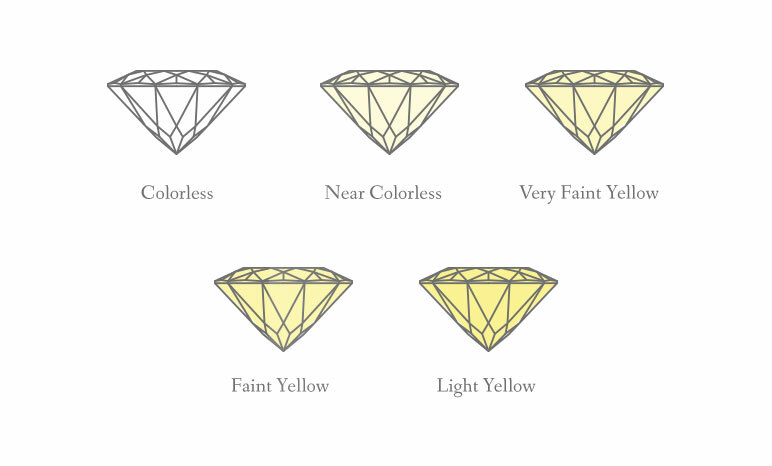 The standard color grading widely used today, established by the Gemological Institute of America (GIA), ranges from D (colorless) to Z (light yellow). The process of classifying a diamond with regard to its color is conducted by professional diamond graders comparing the assessed diamond to diamonds of known color. We keep diamonds of various color grades, but most of our diamonds are classified between D and M.
A diamond’s cut is in fact its proportions, angles and symmetry, created in the process of transforming rough diamonds into polished diamonds. 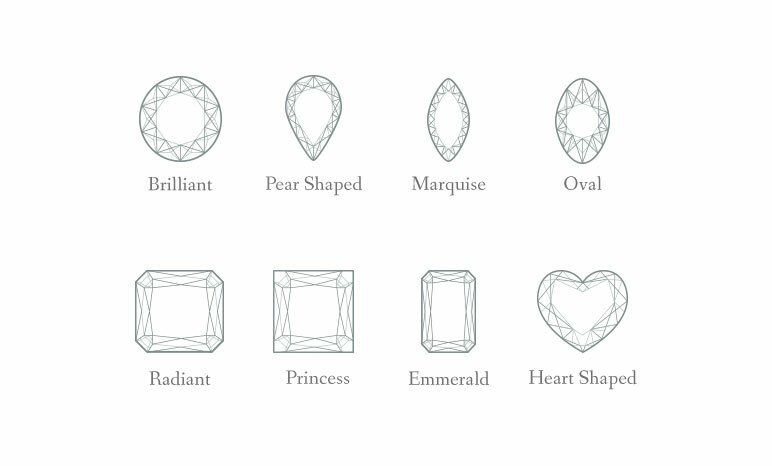 The cut of a diamond determines its scintillation by the internal reflection of light from one mirror-like facet to another, dispersing the light through the crown of the diamond. Cutting the diamond to reach a precisely proportioned facet arrangement, an art that requires great skill and training, maximizes the diamond’s fire, life and brilliance. This process gives clear precedence to light performance and beauty over weight retention. 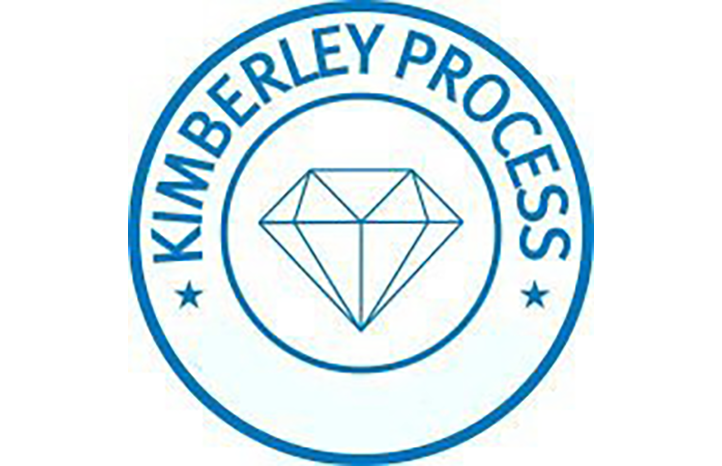 The Kimberley Process (KP) is the process established in 2003 to prevent conflict diamonds from entering the mainstream rough diamond market by United Nations. We, LILI DIAMONDS group, declare that the rough diamonds we buy and manufacture purchased from legitimate sources not involved in funding conflict and are in the United Nations resolutions. All the rough diamonds we buy have the Kimberley report, and we ask the seller to provide his guarantee upon his knowledge that the diamonds are conflict-free.